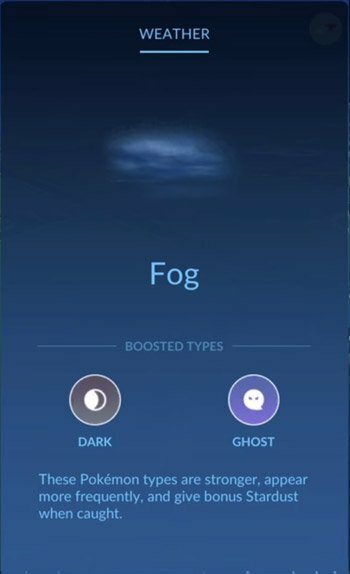 Welcome to our Pokemon GO Weather Chart, here you can view a complete list of Pokemon with increased spawn rate based on the weather. 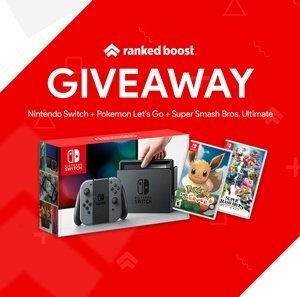 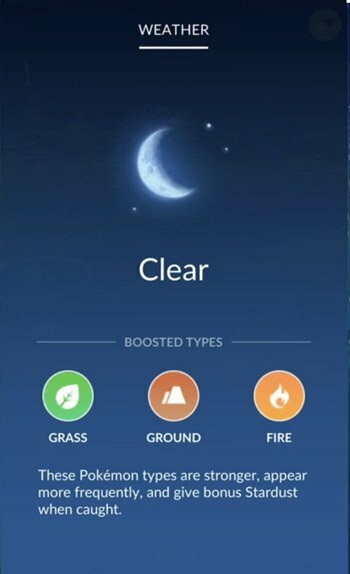 With this guide will update you with all the bonuses including more stardust and how the Pokemon that appear will also have a higher CP. 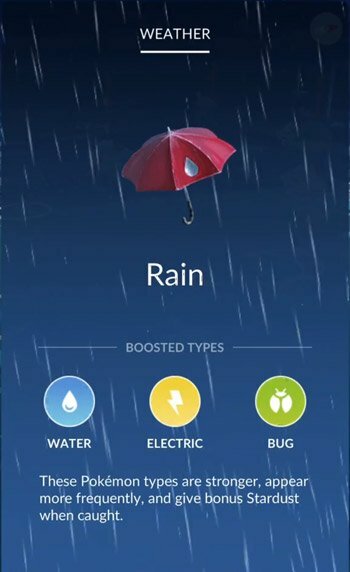 Let’s start with everything you need to know before you start looking at the list of Pokemon based on weather. 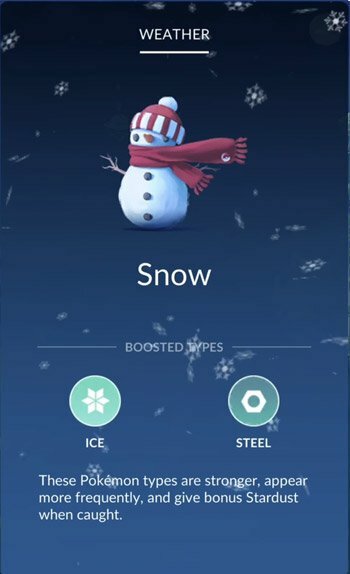 During specific weather Pokemon of a certain type will begin to spawn more often, but that not all that will happen to these boosted types during Pokemon GO Weather Changes. 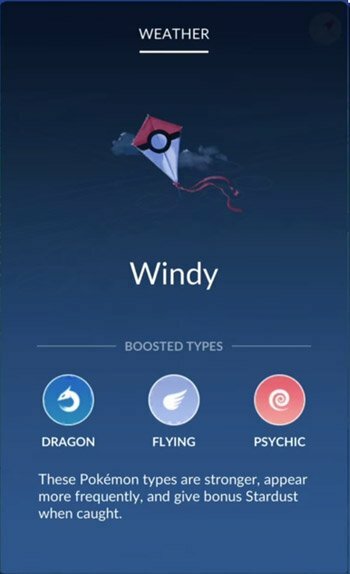 Players should note that there is actually 7 Weather Effects, since Rain, Windy and Foggy weather have different levels. 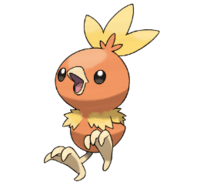 They level from 0 to 3 or in other words moderate to Extreme. 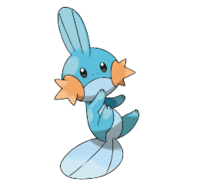 You can Click/Tap the Links Above to quickly navigate through our Pokemon GO Weather List. 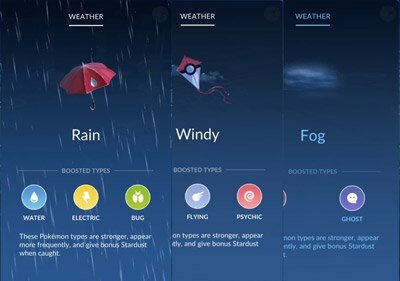 Here is a handy Pokemon GO weather chart made by the people over at Leekduck. 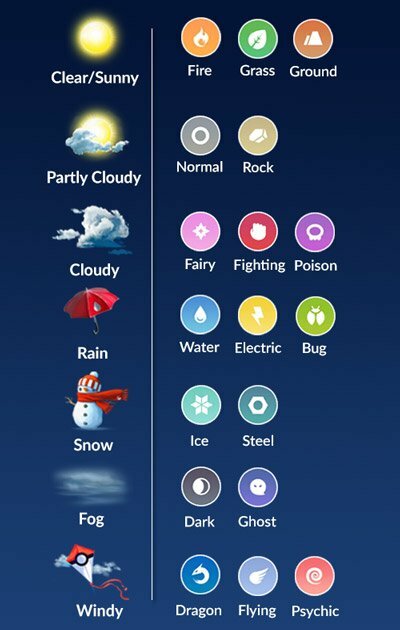 Had your fill of the Pokemon GO Weather Chart? 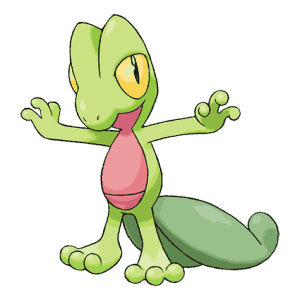 YOU CAN VISIT OUR IN-DEPTH POKEMON GO GEN 3 UPDATE GUIDE HERE AND PREPARE FOR THE UPCOMING NEW POKEMON.